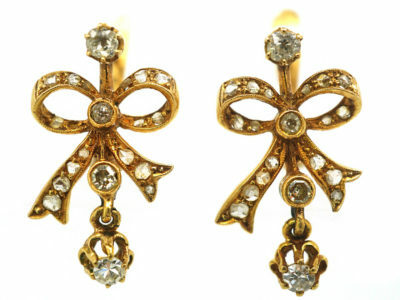 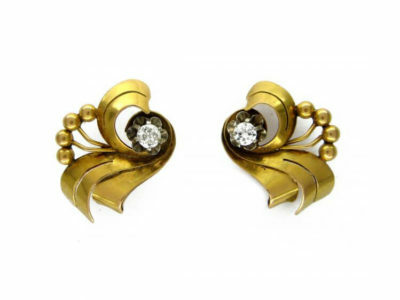 A useful pair of 18ct gold earrings that were made circa 1900-1910 in France. 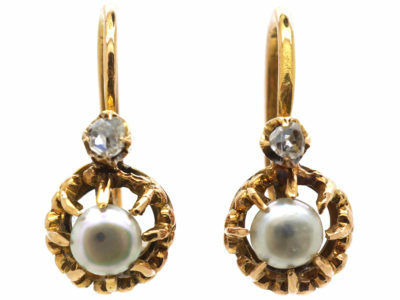 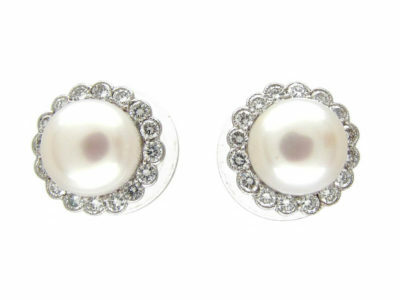 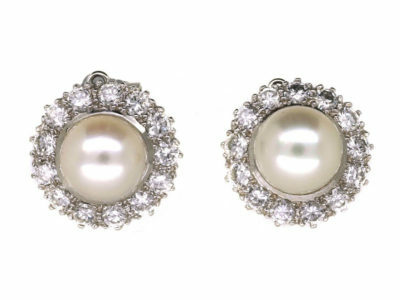 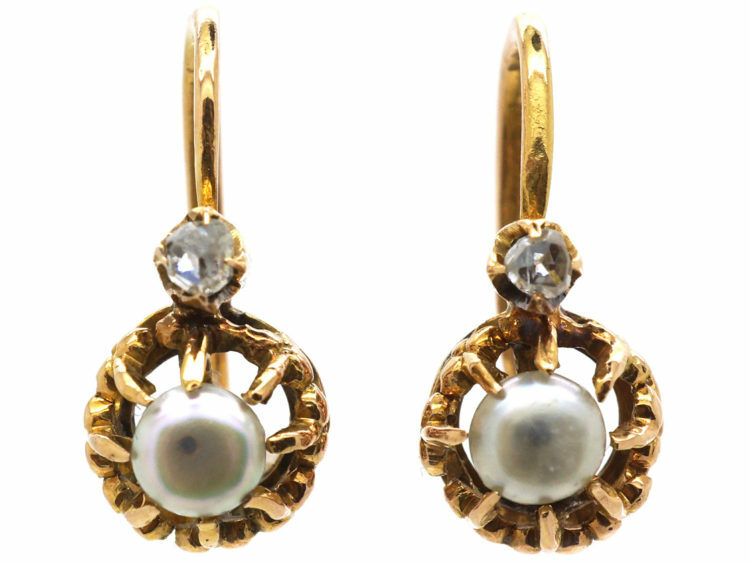 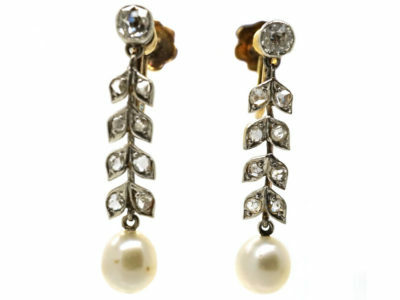 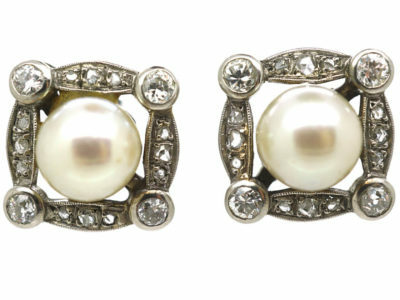 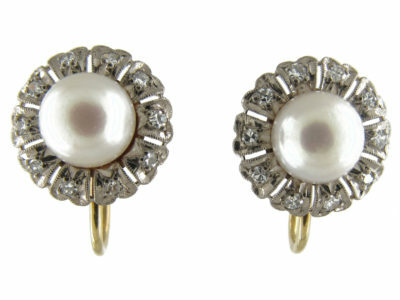 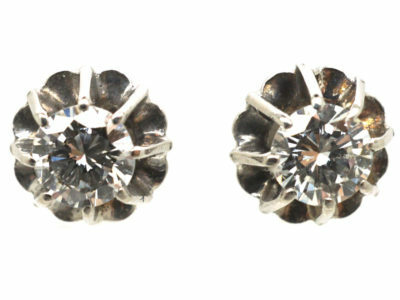 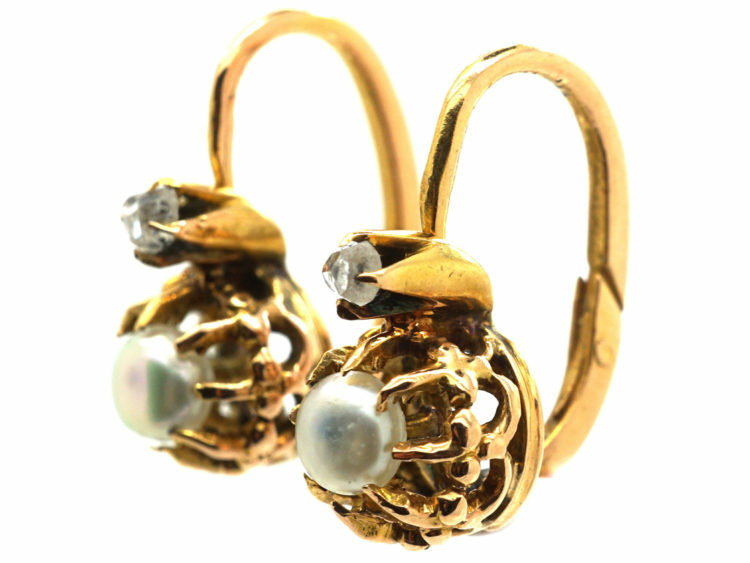 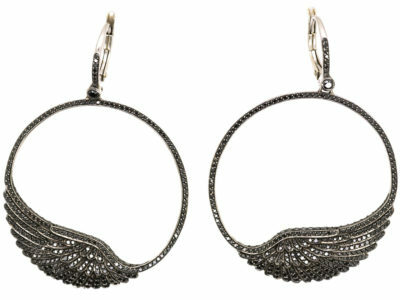 Each earring has been set with a natural pearl with a small rose diamond above and has a pretty fleur de lis mount. 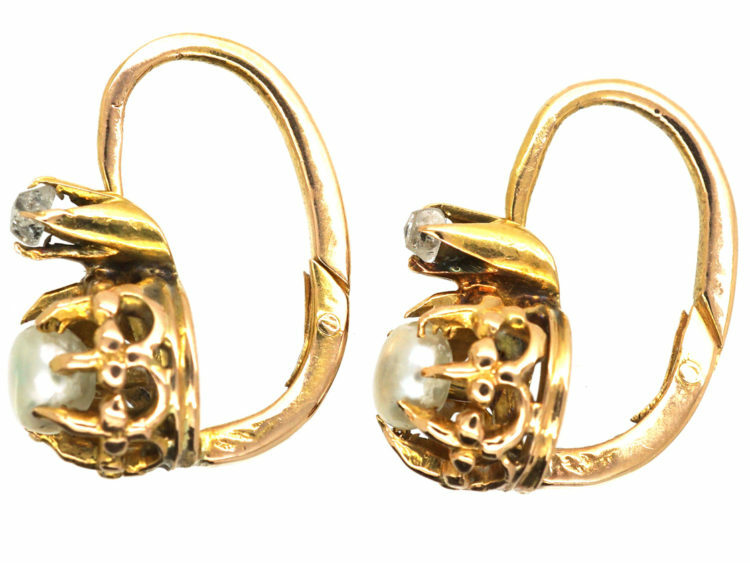 The wires are hinged and are put on through the back of the ear. 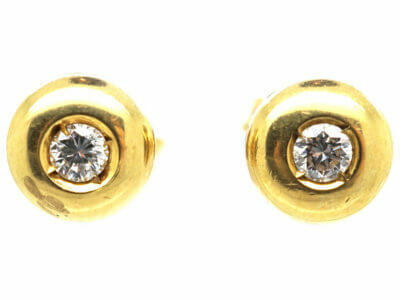 This is not as complicated as it sounds!